Throughout the book are whiffs of schoolboy fancy and (almost) teenage angst; women are often portrayed as glorious mysteries or dangerous temptresses (in the view of the protagonists, mind you), and Hughes seems to love a bit of senseless gore as much as his characters do. Also, a number of the characters are themselves authors, which links the stories together in an almost autobiographical way. This limits and broadens the scope of this book in tandem, and ultimately breathes a life into the stories that is hard to ignore... whilst reading I sometimes had the feeling that the characters were sneaking a cheeky look at me from the book, just to gauge my reaction. 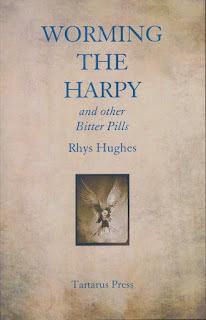 Though Hughes can be overly fond of metaphor and at times he certainly rides the knife edge between absurdity and genius, his storytelling is unique in that the stories exude the familiarity of fairy tales whilst continually surprising the reader. One of the most interesting things about this collection is the stories it doesn’t tell—for example, the first tale in the book is (partially) a record of the nine lives of a talking cat called Herodotus (‘Cat o’ Nine Tales’). Each life (and death) happened in a different city—and these snippets, completely peripheral to the actual story, are fascinating windows into another world. Other worlds are certainly another untapped resource, as a number of the stories mention other dimensions, parallel universes, and quantum curiosities, and I spent much of the time wishing for more in that vein. Interesting also are Hughes’ choices regarding romance or love—a number of characters fall (or think they’re falling) in love, but it is only the objectophile, united at last with his true love (‘Cello I Love You’) who finds lasting happiness. If I had to pick a favourite story from this collection, it might have to be ‘The Man Who Mistook his Wife’s Hat for the Mad Hatter’s Wife’. This is a story revolving around the wedding reception of the Mad Hatter and Alice. To be honest, though the characterisation of each of Lewis Carroll’s creations was (to my twisted mind) perfect, it would not have mattered if the book was set in the world of Alice and Wonderland or not. Each sentence of this story reaches out to the reader, spinning an incredibly pithy and oddly lyrical web, full of rounded characters who each deserve their own story. This tale, in my opinion, most brilliantly showcased Hughes’ way of encapsulating an entire character in a sentence, and also of describing in a paragraph a larger concept that leaves you wanting more. The idea of a wedding dress made of musical notes in particular is a lovely image. As is generally true for collections of stories, however, there were also tales in this volume which I did not enjoy as much as others. For example, the passive, feckless protagonist in ‘A Carpet Seldom Found’ had me yawning and pondering what I would make for dinner, rather than speed-reading to learn his fate. That being said, the ever-growing workshop of the carpet seller Mehmet was a very, very real place, and Mehmet’s intentions got me thinking... perhaps the meaning behind ‘A Carpet Seldom Found’ was simply not as clear to me as, for example, the allegorical ‘The Falling Star’, which to me was a parable about the senseless destruction inevitable in any quest for a/the ‘truth’. 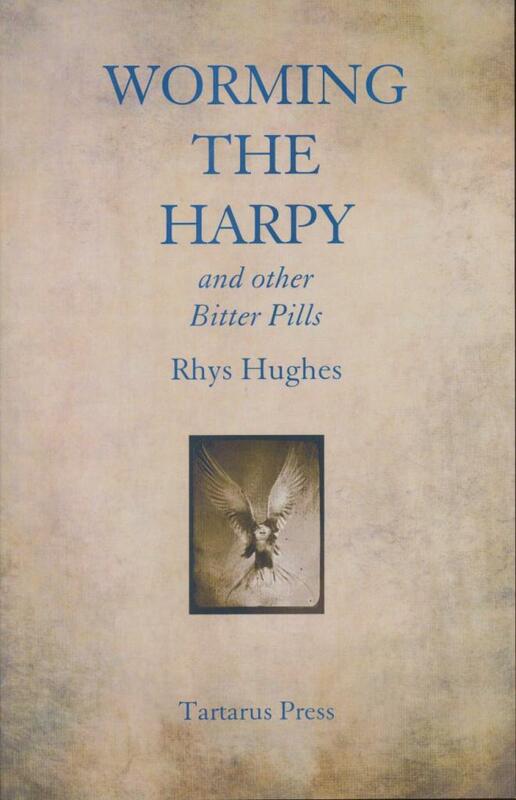 Worming the Harpy, like most of Hughes’ stories, is not to everyone’s taste. However, if you enjoy being genuinely surprised by fiction, this book is your cup of tea. It is very rare in my experience to read books of short stories that reach out to you after you’ve finished them and make you rethink their plots and the fate of their characters. It is also humbling to read short stories that make you wonder what the author was trying to tell you that you somehow missed. A book of short stories that makes you really think? More of the same, please, Mr. Hughes.